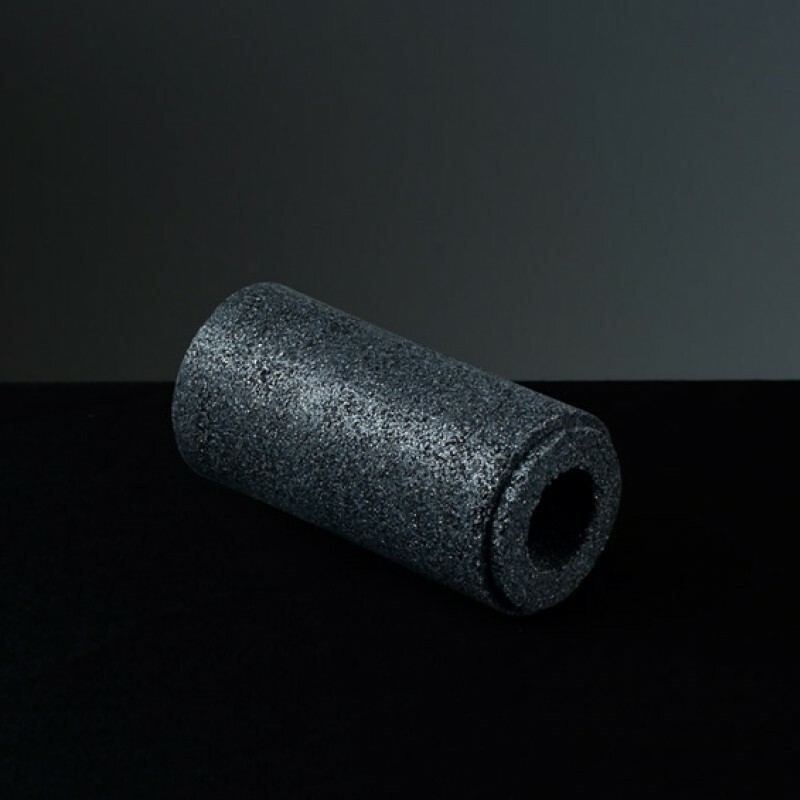 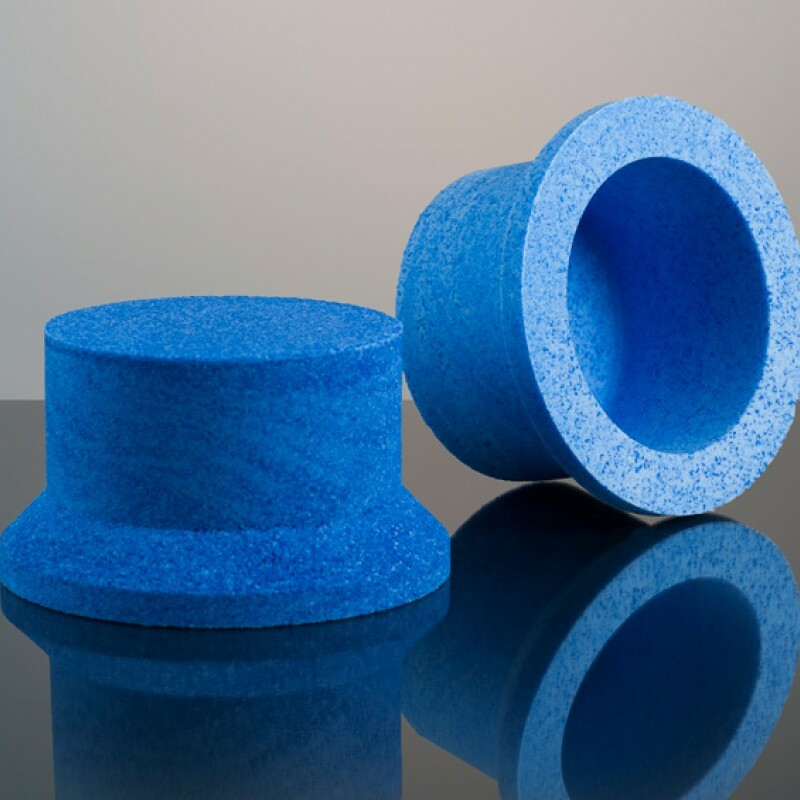 Photo-gen-ic Ltd produces a very wide range of bespoke moulded sintered porous polyethylene filters as complex 3D shapes and tubes for a multitude of industrial companies across the United Kingdom, Europe & the Middle East. General applications include vent filters, respirator filters and compressed air filters. Sintered polymer filter with 30% activated carbon content. 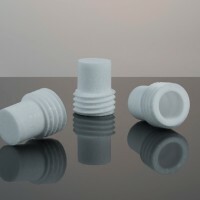 Offered between 1 and 100 microns. Primarily for potable water filters in extreme conditions or in countries such as USA where chlorine is added to domestic water supplies. The polymer/activated carbon combination provides excellent filtration and removes odours & bad taste from the water. 240x30x16mm. 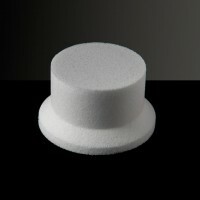 Sintered porous plastic air filter for use in a life sciences application for a UK customer. We developed proprietary tooling and production processes for this block with a central 4mm core. 32x19x9.5mm. 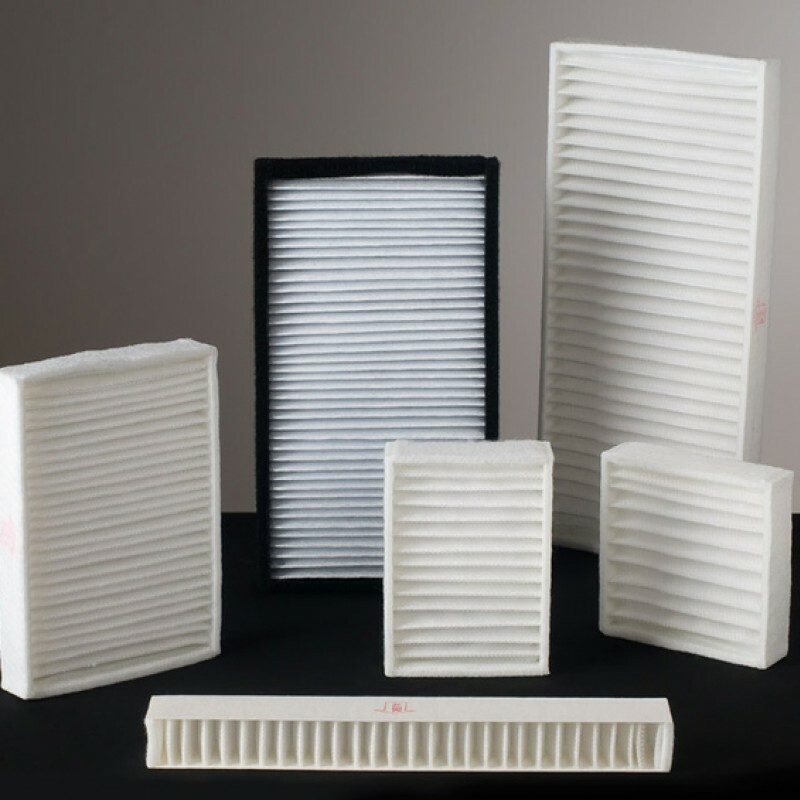 Moulded sintered porous polyethylene air filter for use within a specialist application. 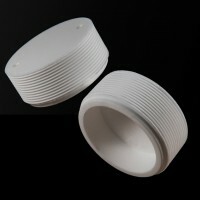 Precise specification meant no deviation from tolerances on dimensions and angles. 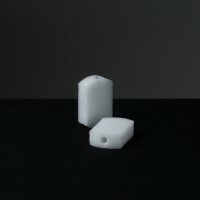 Our in-house workshop developed the mould. 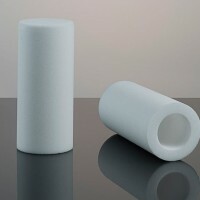 Sintered porous plastic filter. Polyethylene polymers are our core raw material due to their excellent chemical resistance, meaning they are not attacked by strong acids or strong bases and are also resistant to gentle oxidants and reducing agents. 35x30x25mm. 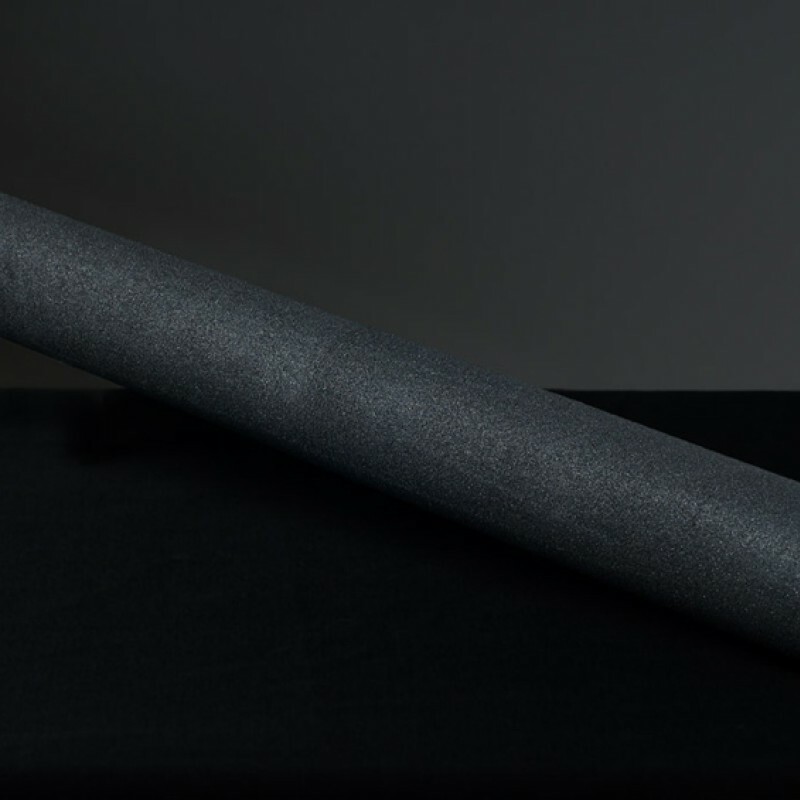 Sintered polymer filter with 5% activated carbon content. Offered between 1 and 100 microns. 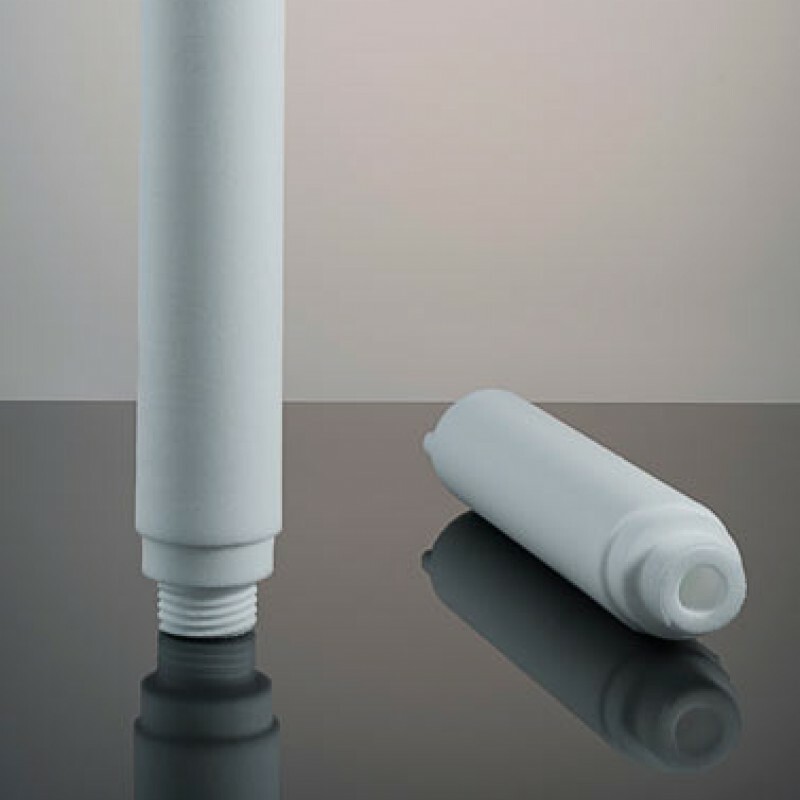 Primarily for potable water filters in extreme conditions or in countries such as USA where chlorine is added to domestic water supplies. 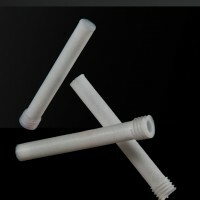 The polymer/activated carbon combination provides excellent filtration and removes odours & bad taste from the water. 65mm long, 31mm OD. 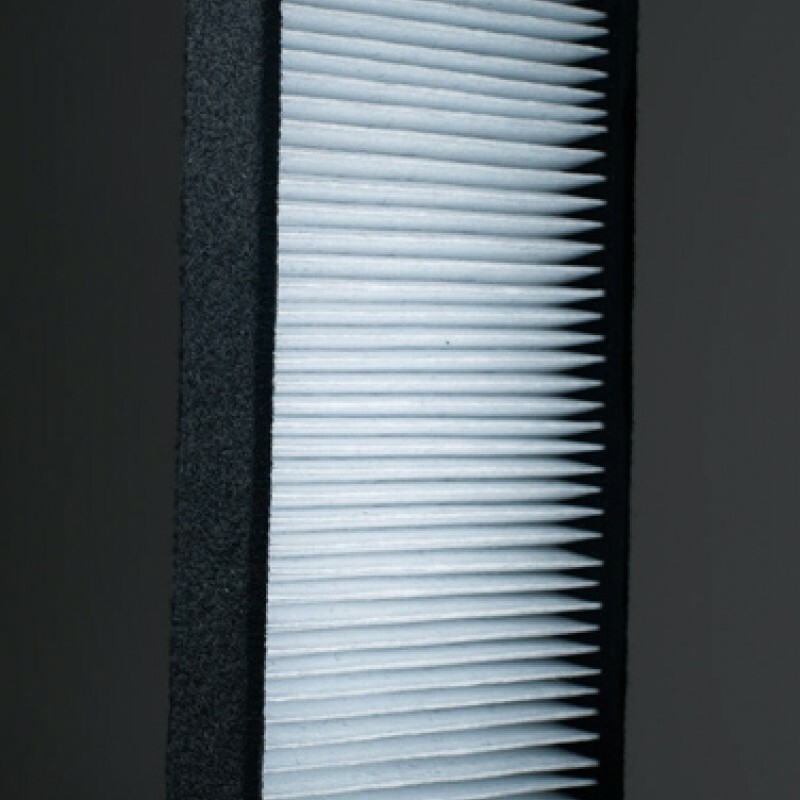 27 pleat electrostatic air filter for use in industrial environment where the filter must optimise the trade-off between low air flow resistance and high filtration efficiency. 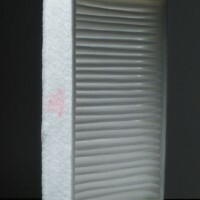 Lightweight filtration media with 5.0 Resistance [Pa] and 31% Penetration [EN13274-7 NaCl Aerosol] supported by support mesh. 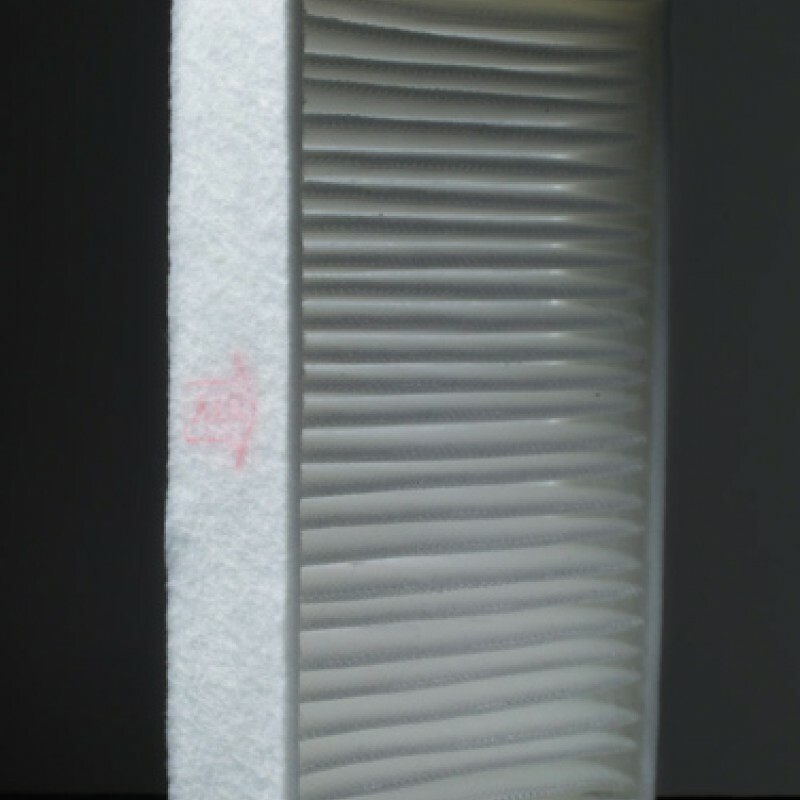 40 pleat air filter. 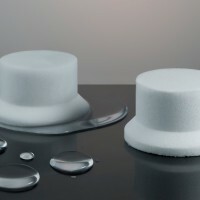 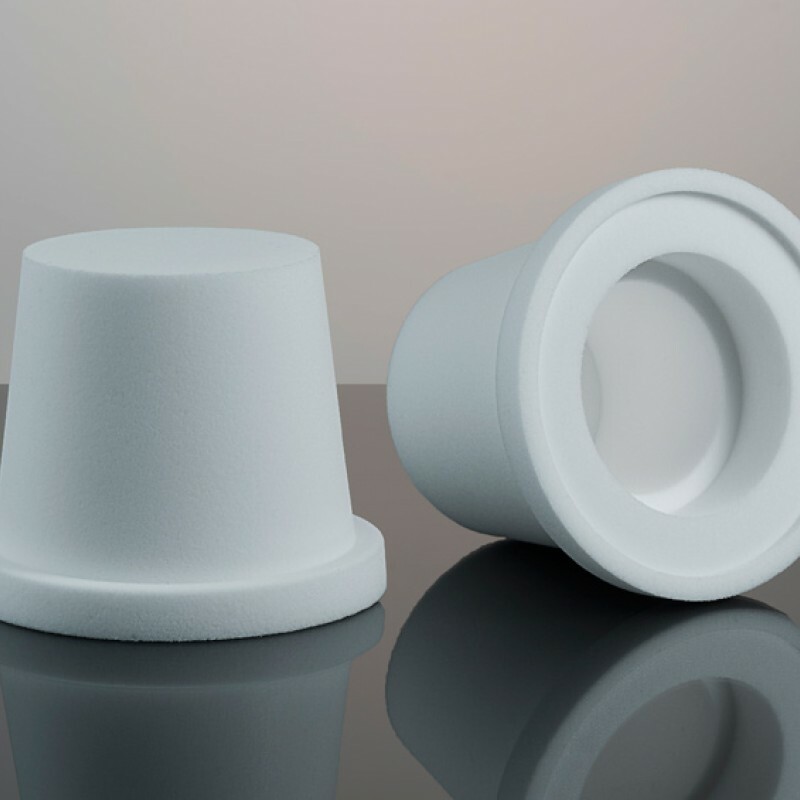 Heavyweight media with 73 resistance [Pa] and 82.4% efficiency for particle sizes between 3 and 5 micron. 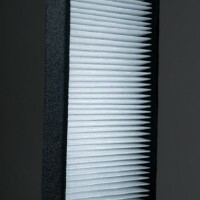 Developed by us for a UK industrial customer who wished for a high performance filter at an acceptable cost. 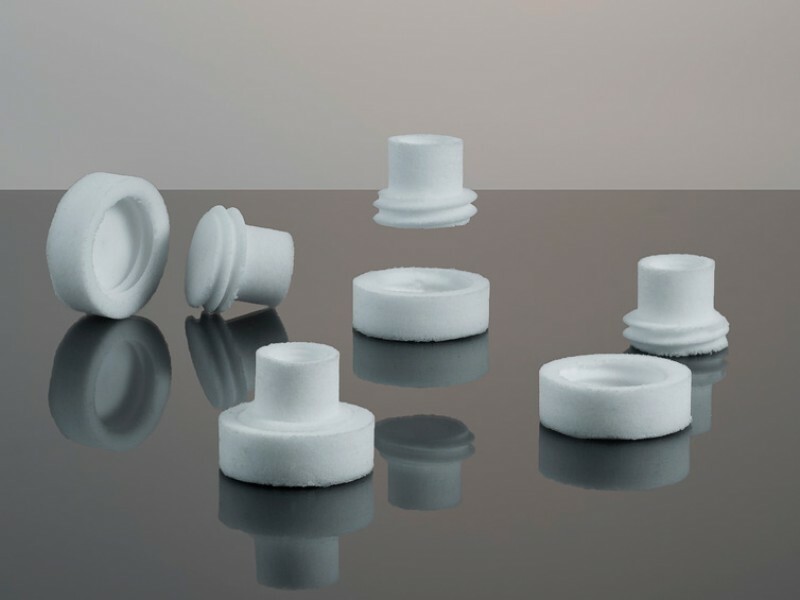 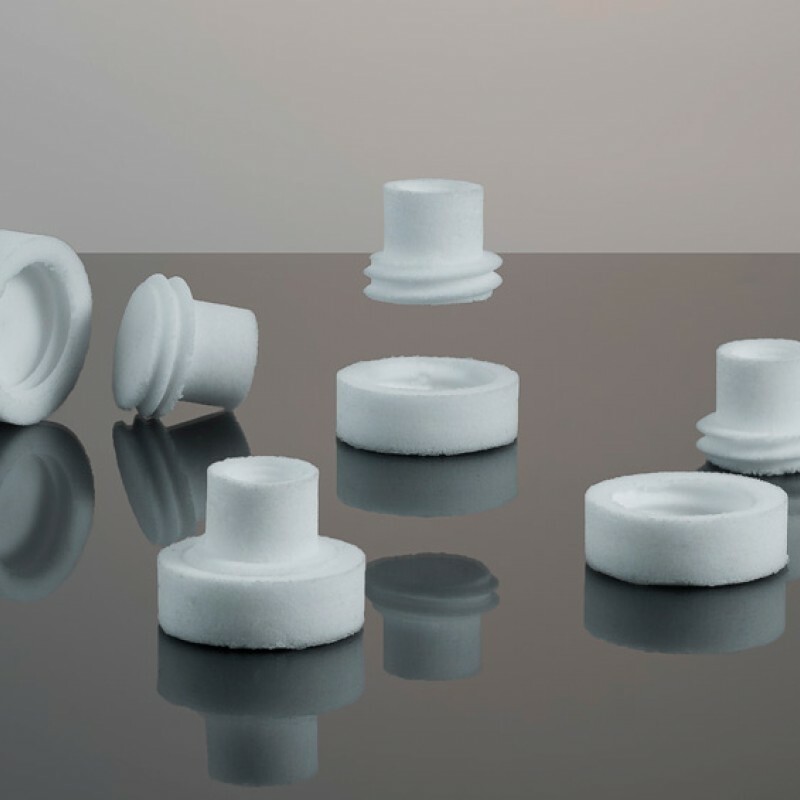 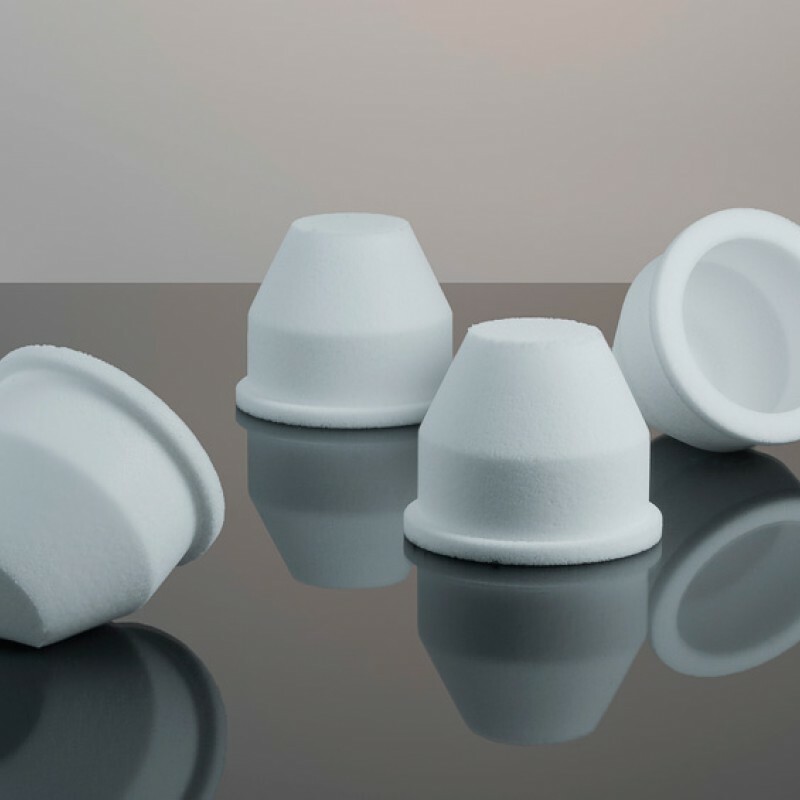 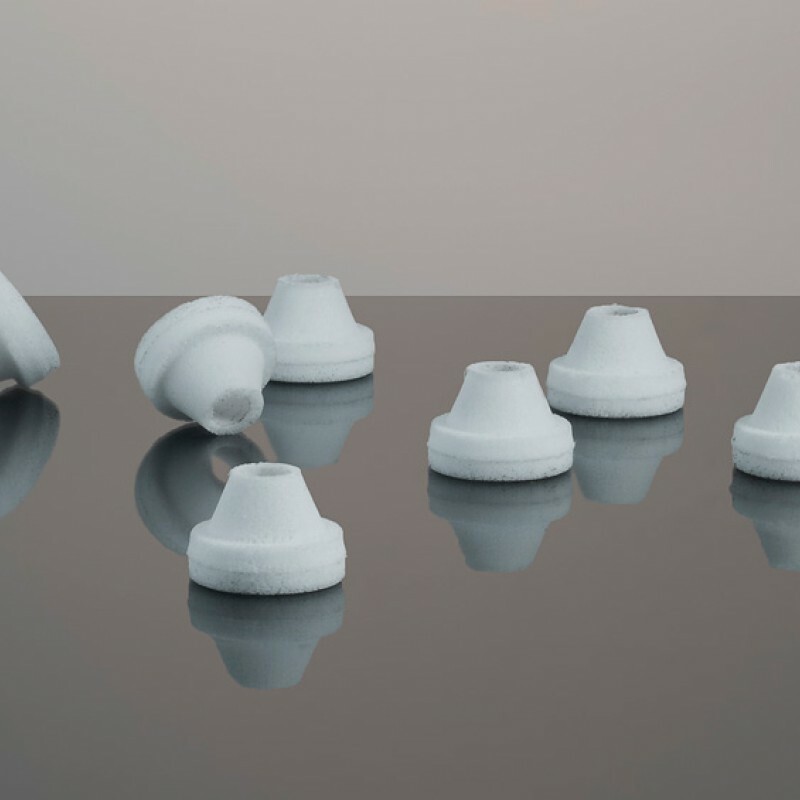 Moulded sintered porous polyethylene air filter for use within a life sciences application. 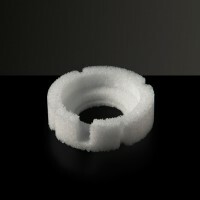 Our in-house workshop developed the mould. 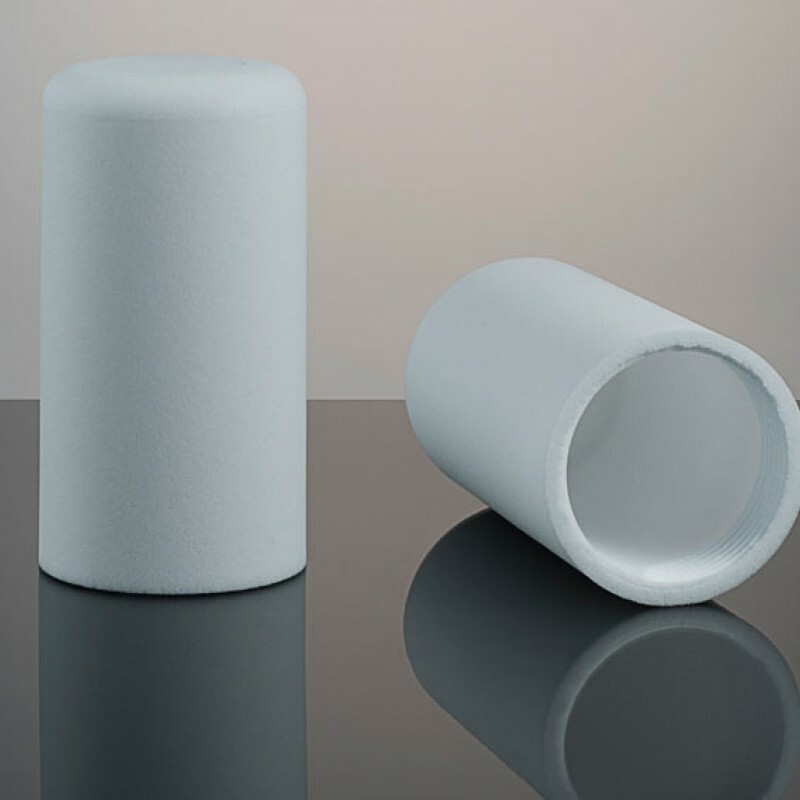 Sintered porous polyethylene silencer with integral BSP thread. 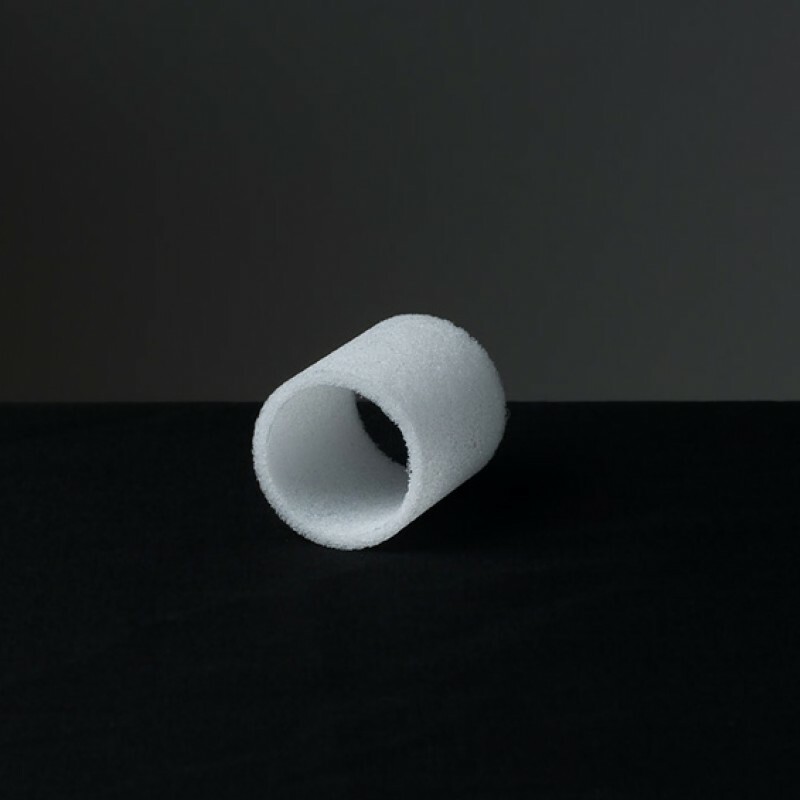 Produced as a single piece.